HousingFest is happening on May 28th with the goal of bringing people together to end homelessness through the power of music. Each ticket costs $39 and is the same cost as keeping a person in permanent, supportive housing for one day. Charlotte has a goal of ending chronic homelessness by the end of 2016 and HousingFest gives you a chance to help the city reach that goal – while listening to some pretty fantastic music – including local band, Matrimony. The rest of the lineup includes: Josh Ritter, Lindi Ortega, Nikki Hill Band, Jim Lauderdale and Justin Fedor. HousingFest began in 2014 and has only continued to grow raising funds for our community’s most vulnerable homeless neighbors. This year’s show is expected to be a sell out with 2,000 people in attendance at the Fillmore. 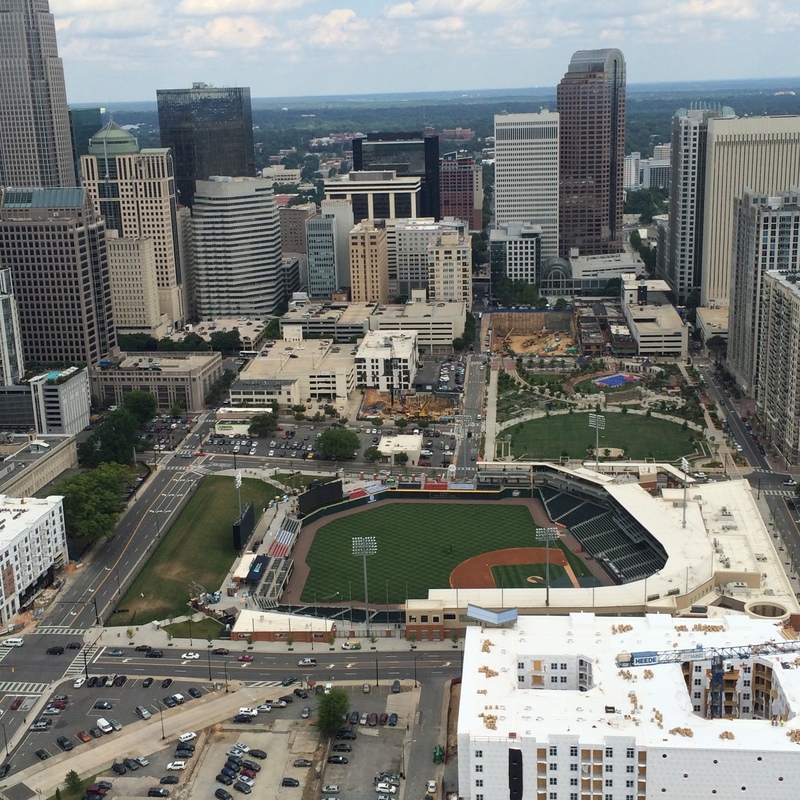 Urban Ministry Center is one of my favorite non-profits in Charlotte (see: 5 things I Learned While Volunteering at Urban Ministry Center), and they are the geniuses behind HousingFest – with the help of a group of sponsors. It’s not too late to get your ticket to listen to good music and do a good thing for the community at the same time. Have you heard of HashtagLunchbag? It’s a movement that’s not unique to Charlotte, but fortunately has been adopted here. A group of volunteers meets at Triple C brewery each month and swiftly puts together hundreds of lunch bags that contain a sandwich, a cookie, a piece of fruit, a granola bar and a bottle of water… and an inspirational note. I went for the first time in March and was amazed at how quickly this group worked to fill the bags and handwrite notes of hope and love for Charlotte’s homeless neighbors. After the lunches are all packed, the volunteers box them up and head into the streets of Charlotte to deliver them to those in need. As a first timer, I was grateful to have Danielle and Jacinda swoop in and give us the scoop on how the morning would go. All of the volunteers were pleasant and helpful as well and truly worked together as a team. Once we signed in and made our donation (volunteers are asked to bring $10 to help with food costs), we were added to one of the sandwich making tables. After all of the sandwiches were made, I moved over to the note making station and eventually moved into the box-packing group. There are several prime locations to hand out these lunches which are identified before leaving the brewery. Everyone goes in groups and for safety reasons, it is recommended to have a male in each group. That being said, I never felt unsafe while delivering the bags. At the men’s shelter, we started approaching the neighbors and handing out bags but were quickly told that we couldn’t do that. We either had to donate the bags to the facility or stand outside of the gates to distribute. One gentleman kept following us and asking for a bag (I wanted to give him the whole box) but we had already been told to move off the premises. Once we made it outside the gate, we were able to distribute the bags freely. We also stopped at Urban Ministry Center and were able to donate a ton of bags to them and also hand out many more to the neighbors who were already lined up waiting to get in. It took our group 35 minutes to make 275 lunch bags and pack them all up to be distributed. We started at 8 A.M and were home by 10 A.M. My heart was so full after those two hours. There are many volunteer roles where you’re working in the background and know you’re doing good but with #HashtagLunchbagCLT, you are on the front lines. You’re not only doing the pre-work but you’re actually engaging with those in Charlotte who need a hand up. Starting in April, there will be two opportunities to volunteer. #HashtagLunchbagCLT will meet on April 2nd and April 16th at 8 A.M. at Triple C. The goal would be to have sessions weekly and keep Charlotte from going hungry. Let’s make it happen. Go, volunteer, do something good for your community. Email lunchbagclt (at) gmail (dot) com to let Danielle know you’re coming. And I’ll see you there! *If you’re not in Charlotte, check out the website to find opportunities in your area! Everytime I log into Instagram, I see tons of pictures posted of Charlotte’s skyline. No shame there. It is a pretty skyline. The sunsets have been magnificent lately, only making it prettier. The only thing better than staring at the skyline from your balcony, is taking a gander of it from above. While the ground-view shots of the skyline are nice, you can see miles beyond that from inside the helicopter. You can see all the way to Crowders Mountain! I was in the helicopter that fits two passengers plus the pilot (they have bigger ones if you have more passengers!). While small, it was completely comfortable. At first, I was a little nervous because there were no doors (don’t worry, Mom, I wore a seatbelt), that quickly went away. Going up in a helicopter is about a million times more smooth than going up in an airpane. The company is run by a father/son duo. The son was our pilot and was incredibly informative as we flew over the city. Everything seemed so professional, yet casual, which is exactly how it should feel. In addition to aerial tours of the city, they offer charters to get you to and from where you need to be in the city, aerial filming and even flight training if you want to be the pilot! 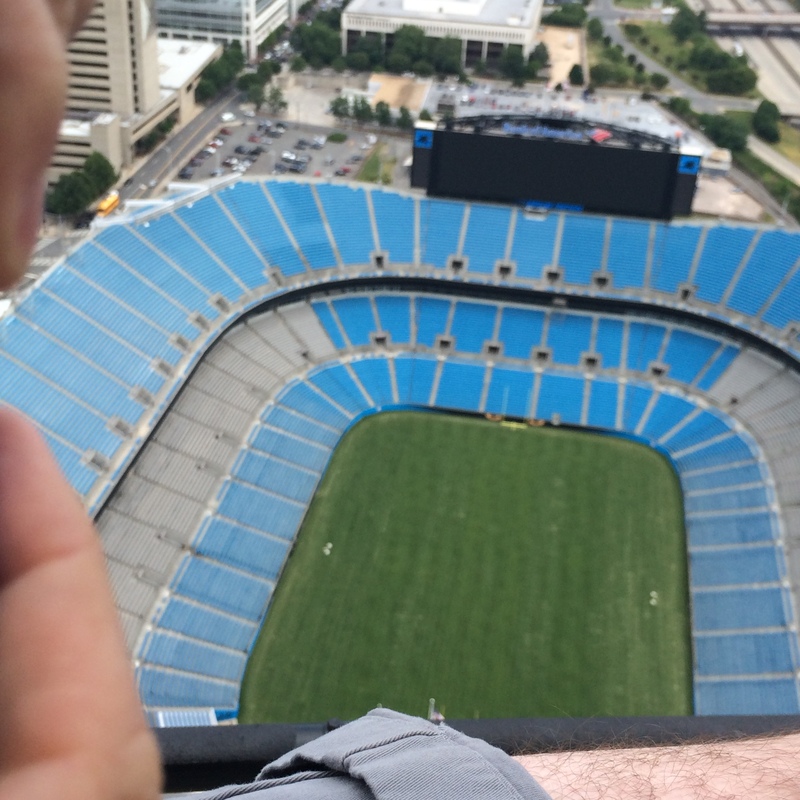 This was one of the most exciting experiences I’ve had since living in Charlotte. 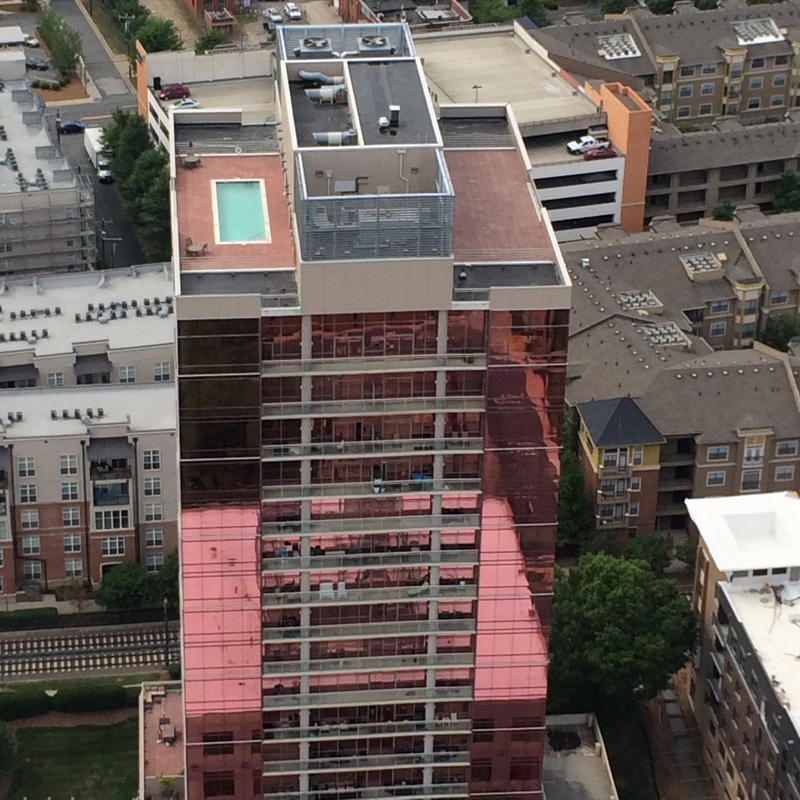 If you want to get a new perspective on the city, live on the edge a little (no doors! 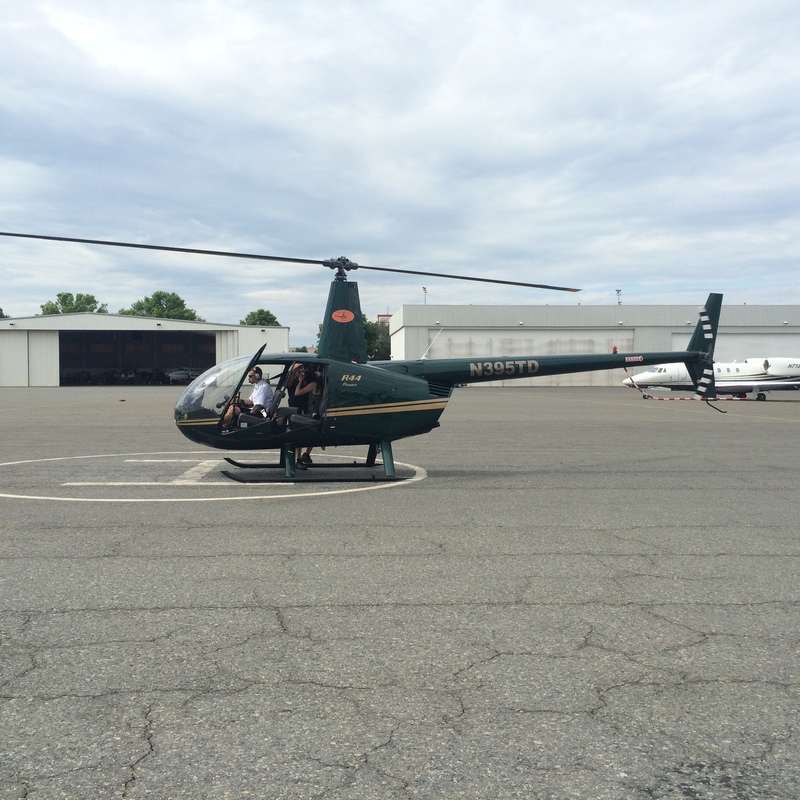 ), or surprise your other half with a special adventure, give Queen City Helicopters a call: (704) 629-4677. I guarantee you’ll be talking about it for months to come after you get back on the ground. 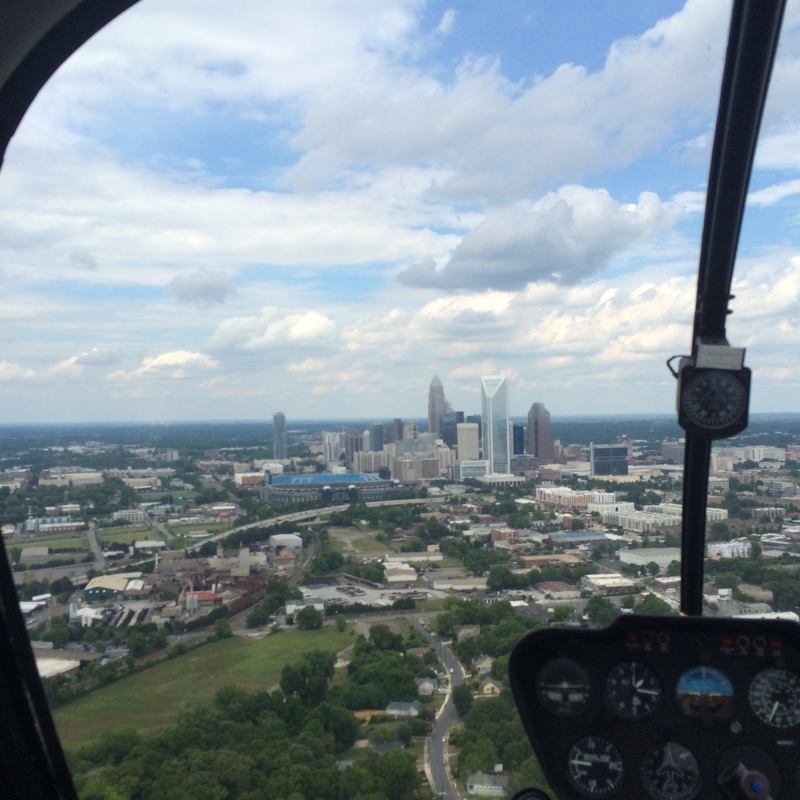 If you mention that you saw the article in When In Charlotte, you’ll get 10% off of your aerial tour! 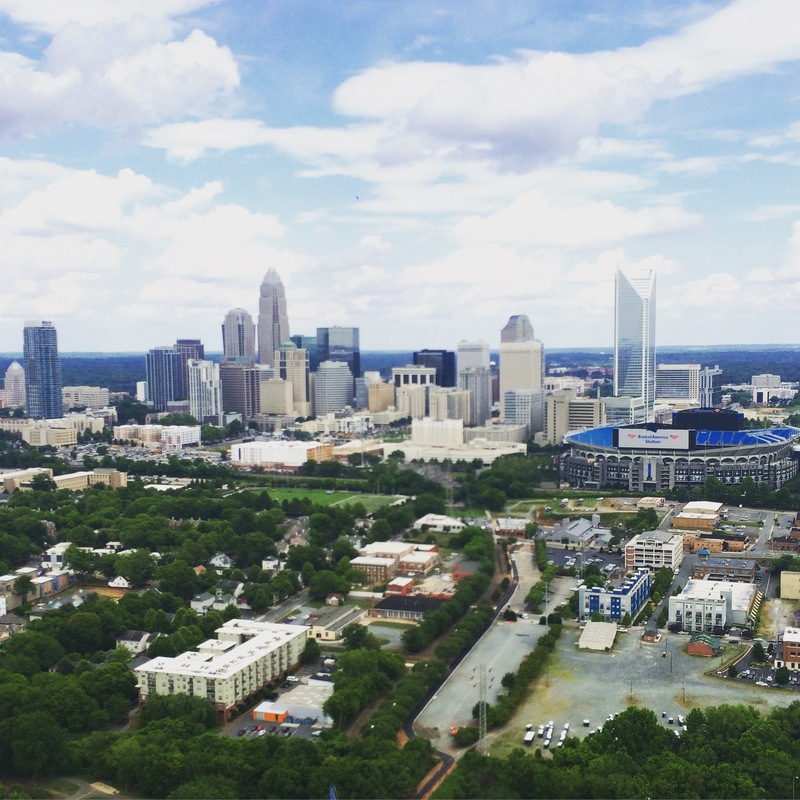 There’s no other place you’ll have views this good of the Queen City! 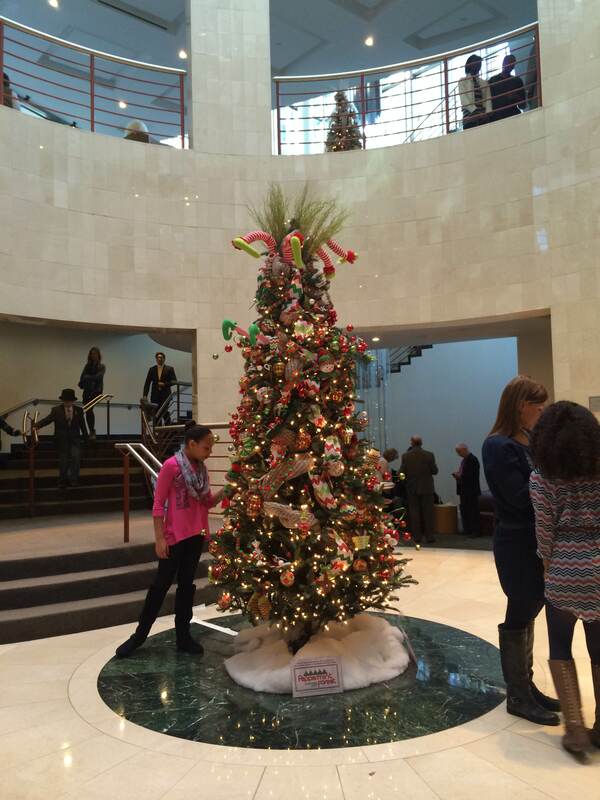 Every year around the holidays, we attend a show or symphony at the Blumenthal Performing Arts Center in Bank of America Center uptown, for the past two years we’ve seen the Magic of Christmas (I also highly recommend seeing The Nutcracker). 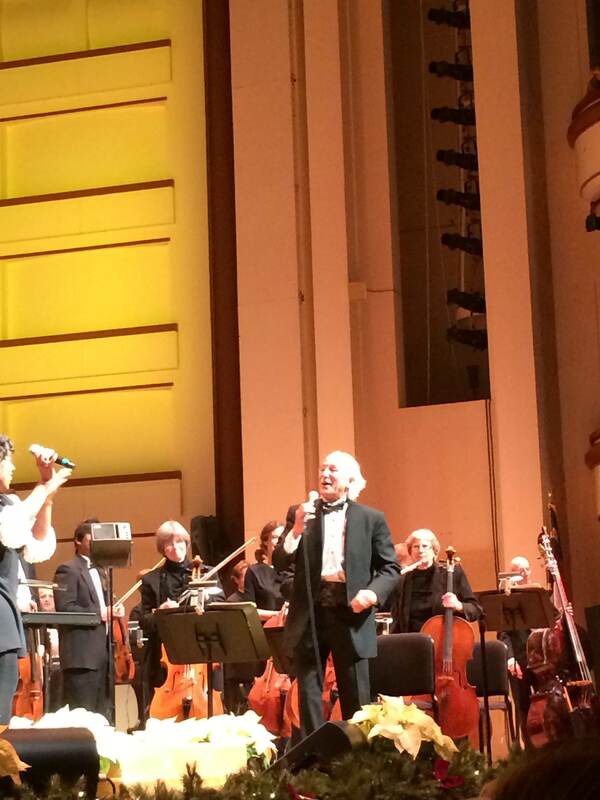 Albert-George “George” Schram is the most energetic maestro, conducting the symphony through a variety of Christmas songs. Watching him is so uplifting and exciting. Wouldn’t it be nice if everyone loved what they did THAT much? Such a lively character! 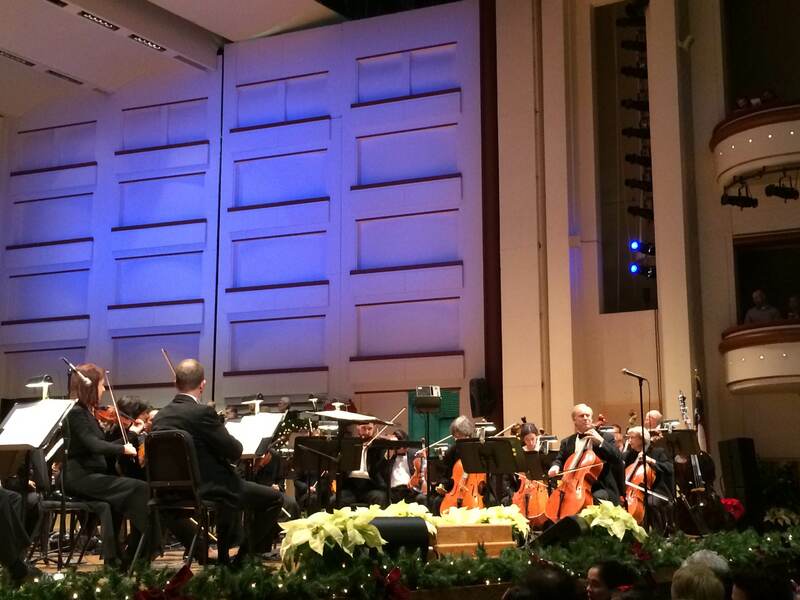 The symphony is absolutely wonderful. What a talented group! They play so beautifully through popular songs, songs you sang as a child and even have sing-alongs at the end! 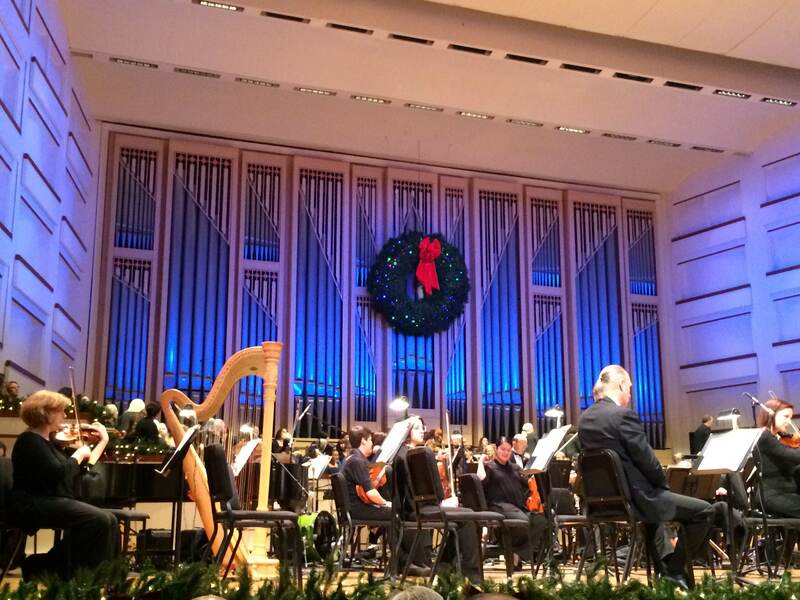 They are accompanied by local choirs, including the Charlotte Children’s Choir and the Oratorio Singers. It seriously is a magical experience! 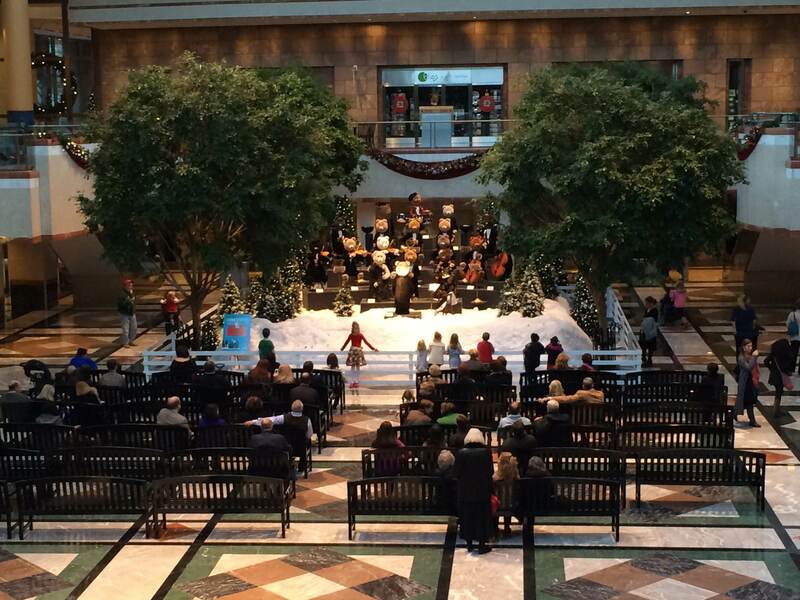 The center is decorated with trees and garland and bows. Everything you need to get in the holiday spirit (and pose for family photos in front of). Singing bears perform in the lobby, much to the children’s delight. Holiday songs sung by singing bears, what could be better? Multiple times are offered for shows, so if you’re taking the kids, you can grab a 2:30 slot, or if it’s a holiday date night, the 7:00 PM show is excellent. Depending on what time you go, coffee and libations are available to get you through the show. It’s DEFINITELY worth going. Make it a family or friends trip or a special date night, but don’t miss out on this experience! 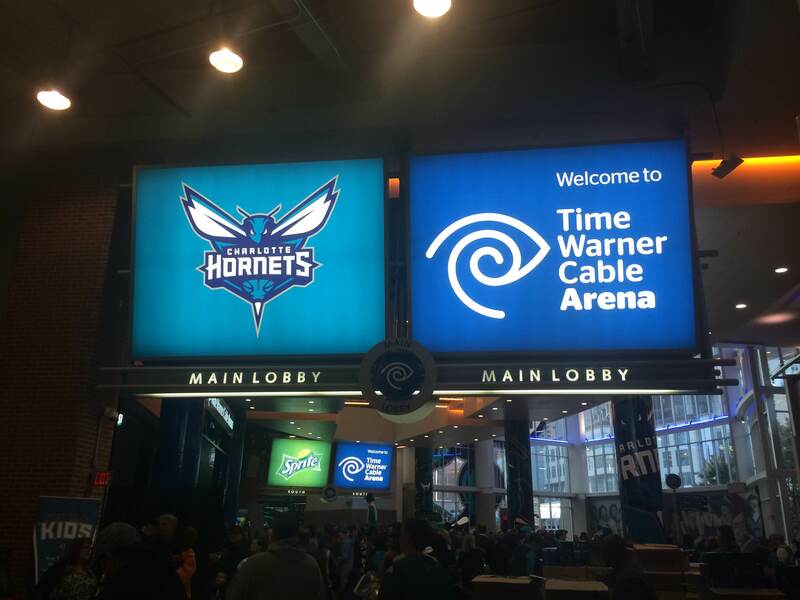 On Saturday, we ventured to Time Warner Cable arena to watch the Charlotte Hornets face off against the Memphis Grizzlies. 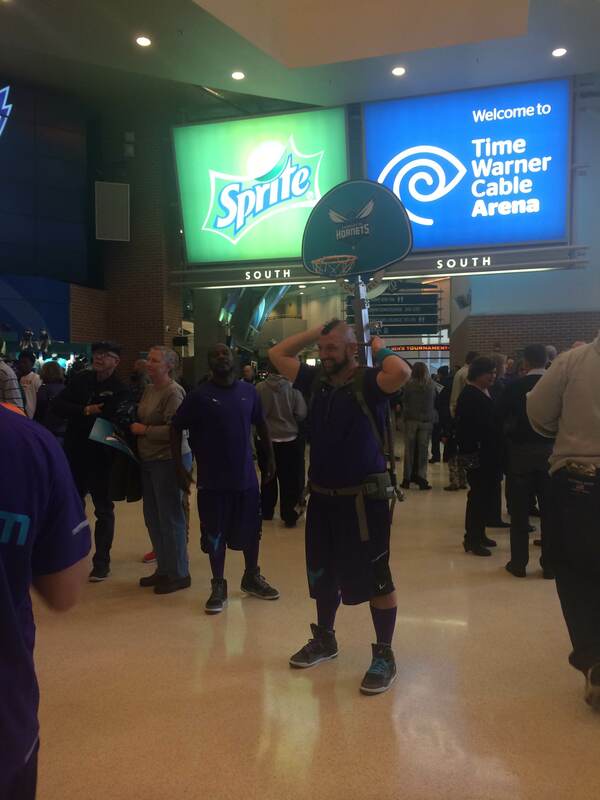 The Hornets were Charlotte’s team from 1988-2002 and then left for New Orleans. The Bobcats filled in until last season, when the decision was made to bring back the buzz, in big part to Michael Jordan (thanks, MJ!). On Saturday, the first 10,000 fans received Hugo the Hornet bobble heads, so the line was quite long (and the air was quite cold!). The arena was much more packed than it used to be for Bobcats games, but still wasn’t full. I’m sure it will be when we play Cleveland and LeBron visits. 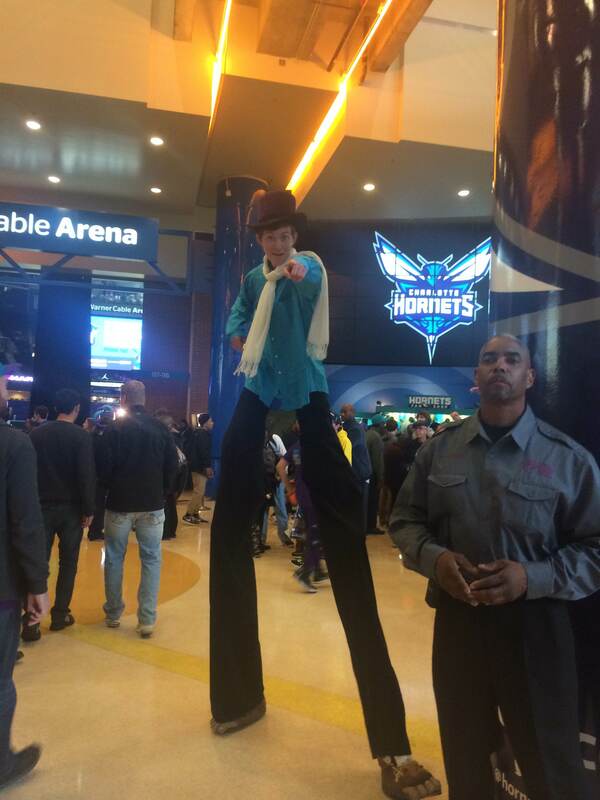 Everywhere you looked you could find Hornets memorabilia or gear, as well as purple and teal people on stilts, a DJ or “honey bees” signing photos or calendars. It’s the perfect set up if you have young kids who need some entertainment and can’t sit still through a two-hour game. The team store is packed on game days. Supposedly it’s being moved to make for a better user experience and traffic flow. On Saturday it was one out, one in. That being said, the line moved pretty fast but the store itself was crowded and it was difficult to look around. I did manage to snag a shirt from one of the smaller merchandise booths. 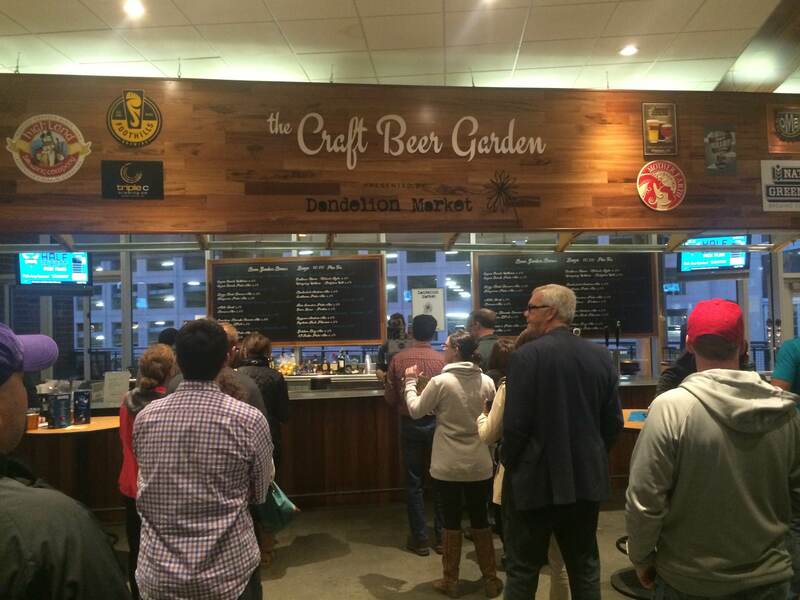 Our first stop was the Craft Beer Garden which is sponsored by Dandelion Market. 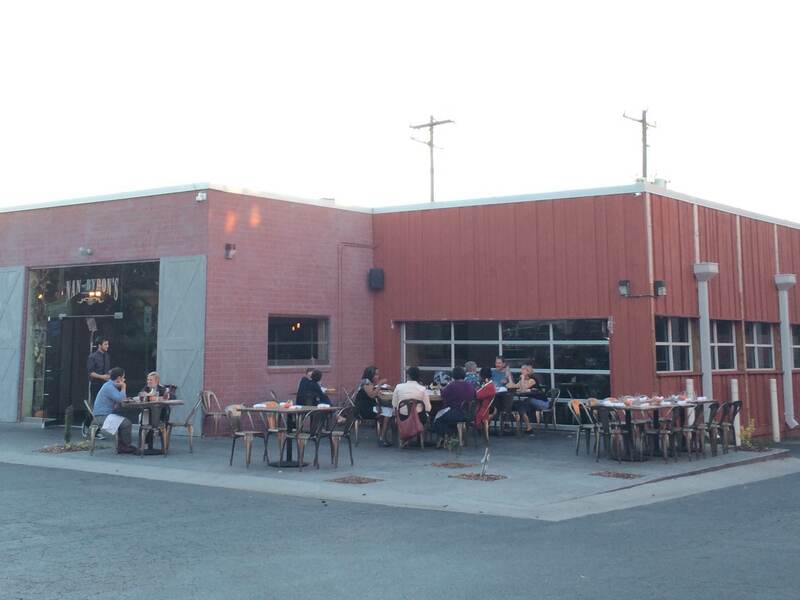 They serve mostly local brews, which is awesome since we have so many wonderful breweries here in Charlotte. 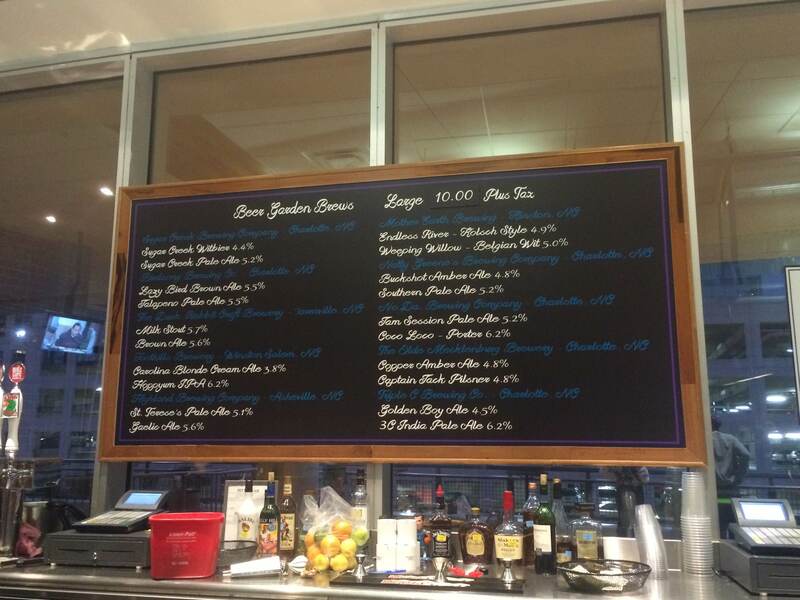 If you’re not interested in craft beer, you can find domestic beer in about a million other spots in the stadium. 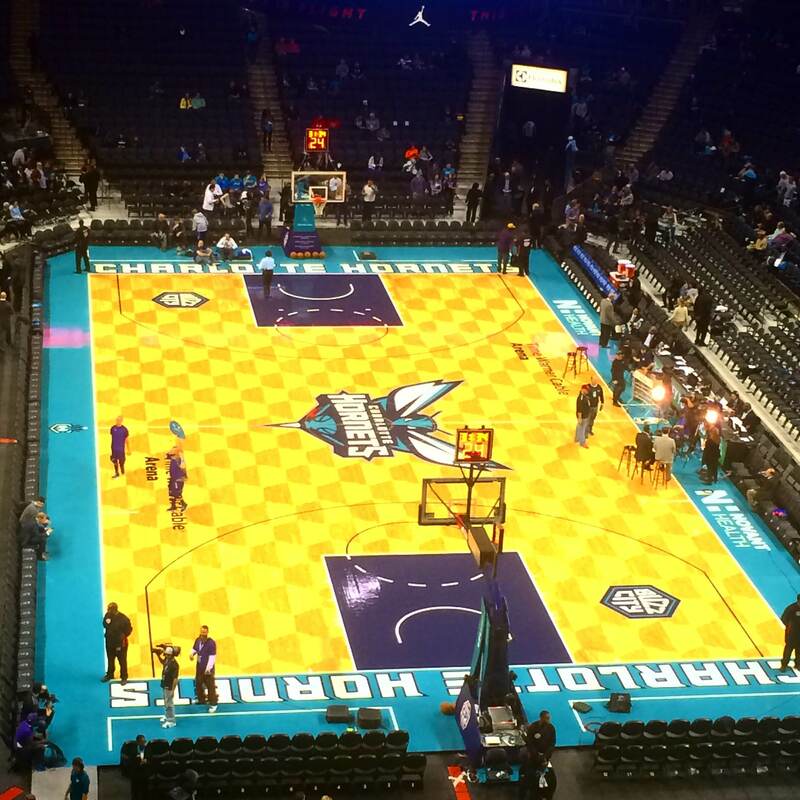 The court has a beautiful new honeycomb design. Huge monitors project the game so folks in the upper levels can see clearly if the court is too far away. There’s not really a bad seat in the house. 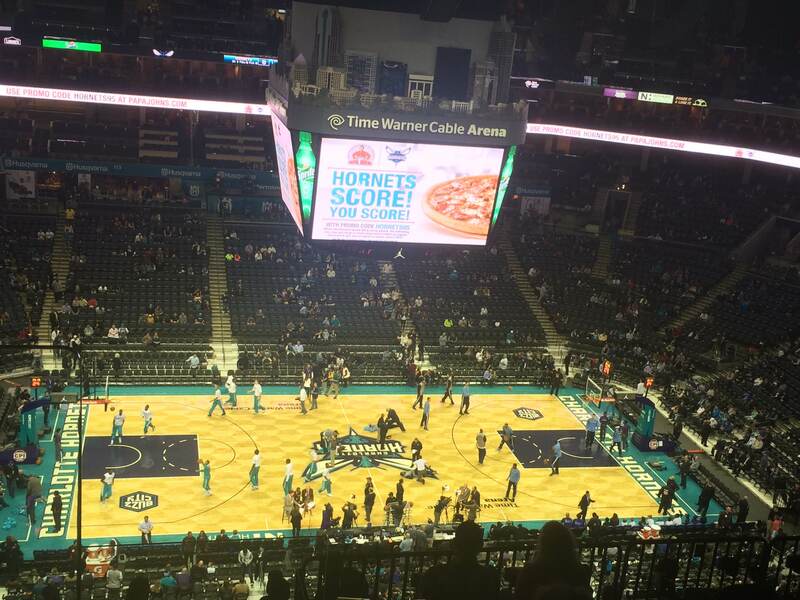 There are still tickets available for plenty of games, so you can still visit Buzz City and watch the Hornets in their inaugural season back in Charlotte. While the Hornets didn’t win their game on Saturday, they did have a miraculous comeback during their first game from a 24-point deficit and won in overtime with a shot by Kemba Walker. There’s guaranteed to be plenty more of that action this season. I can’t wait to see what this team does throughout this first season back. 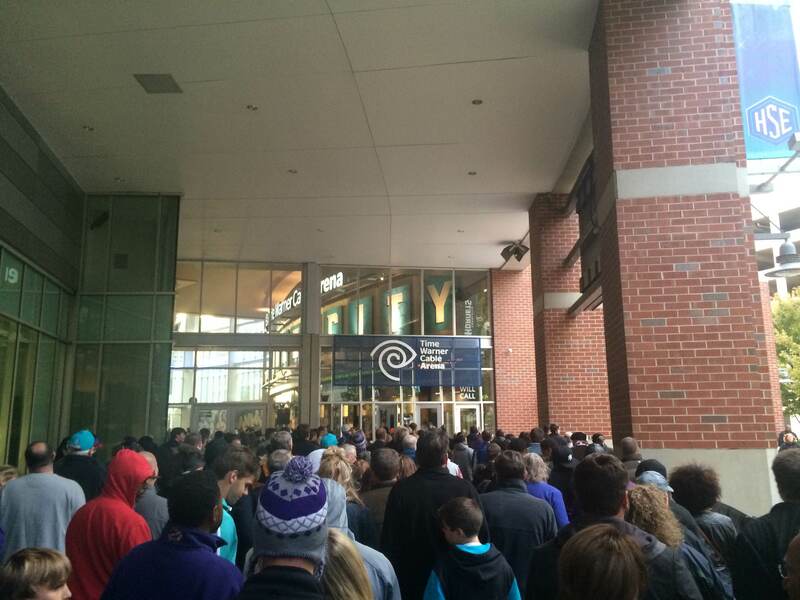 Welcome back, Hornets, welcome back. I wrote about Nan & Byron’s once before, after having dined there during Queen’s Feast and having a pretty tasty PB&J for dessert. We both loved the environment, the service and the food. Last night, we decided to go back and see what dinner tastes like on a regular night. Oh, and we racked up 1,000 Open Table points for our 5:45 (early bird) special. 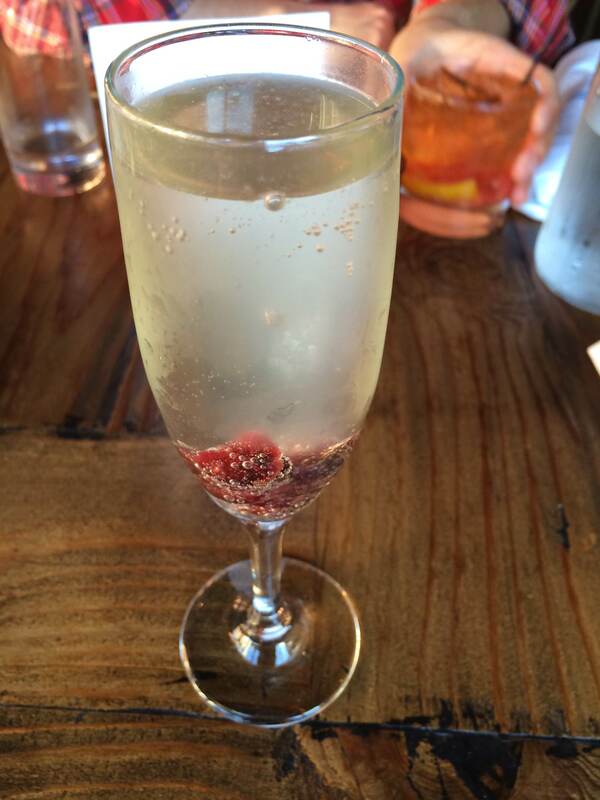 I ordered the Dancing Cranberries (prosecco) and my husband ordered a Re-Fashioned. Both were so delicious we drank those glasses dry. We hopped right into dinner but not before munching on popcorn that was brought out. 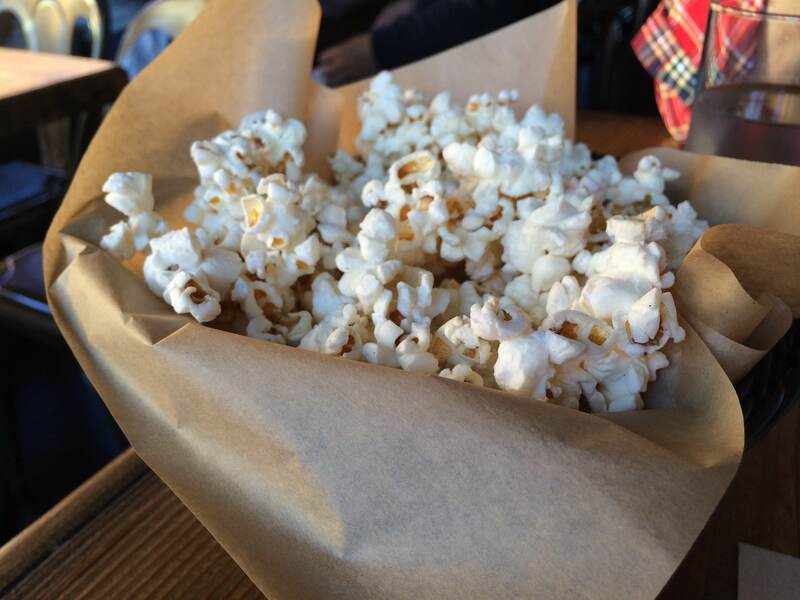 Why is it so hard to resist popcorn?? 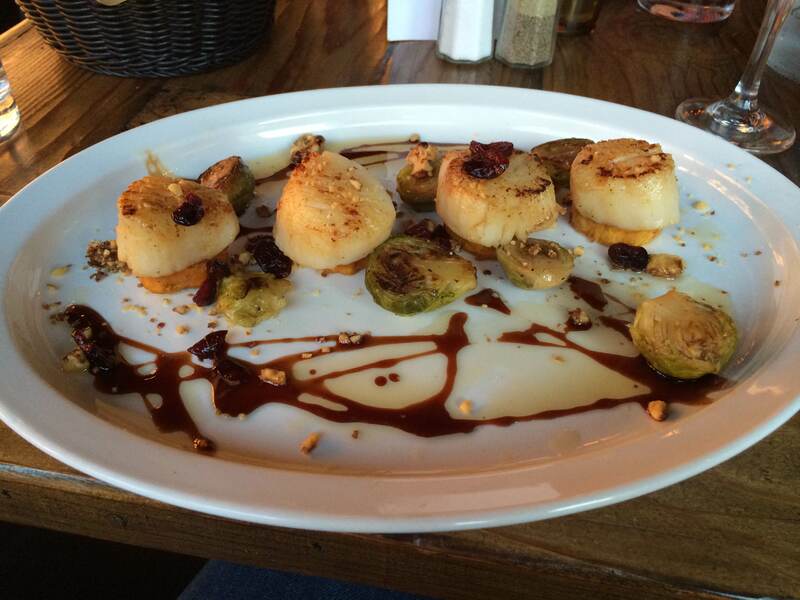 There were several dishes that got my taste buds buzzing, but I settled on the scallops with brussels sprouts. I was SUPER close to choosing the pork chop with fried jalapenos and pineapple…. next time, definitely next time. 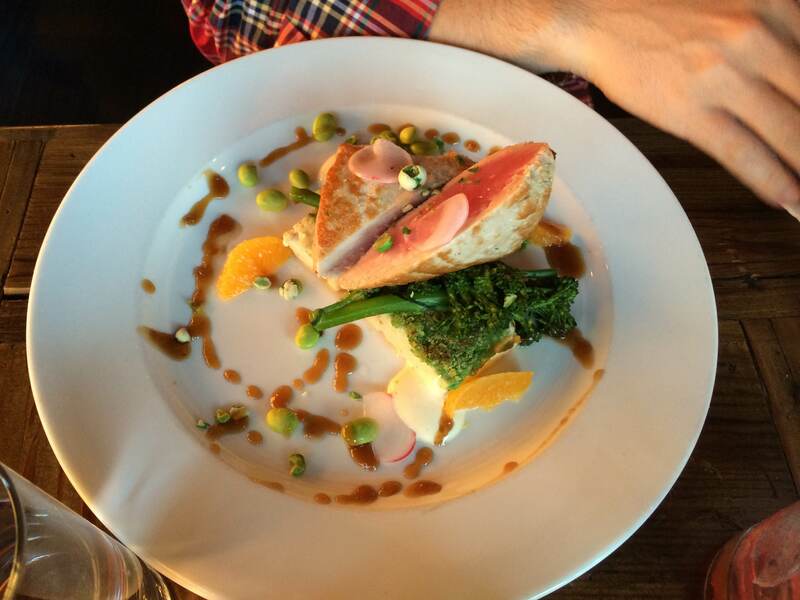 My husband chose the tuna with tofu and edamame. While I didn’t try the tuna, I did take a bite of his tofu which was delicious. I was surprisingly full after dinner and passed on dessert (a rare occasion in my life). We both really enjoyed our dinners but agreed the scallop dish was the better of the two. 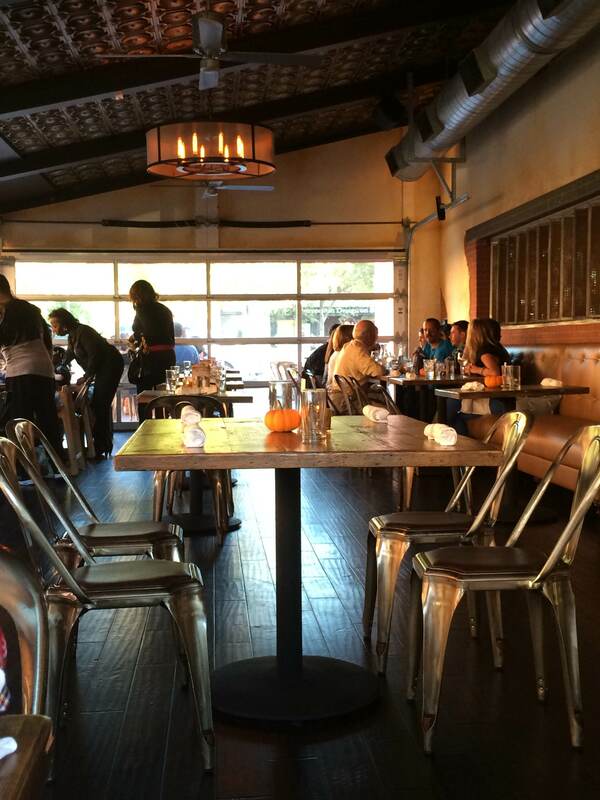 Overall, we greatly enjoyed our second experience at Nan & Byron’s and will definitely be back! You should check it out for a fun date night! 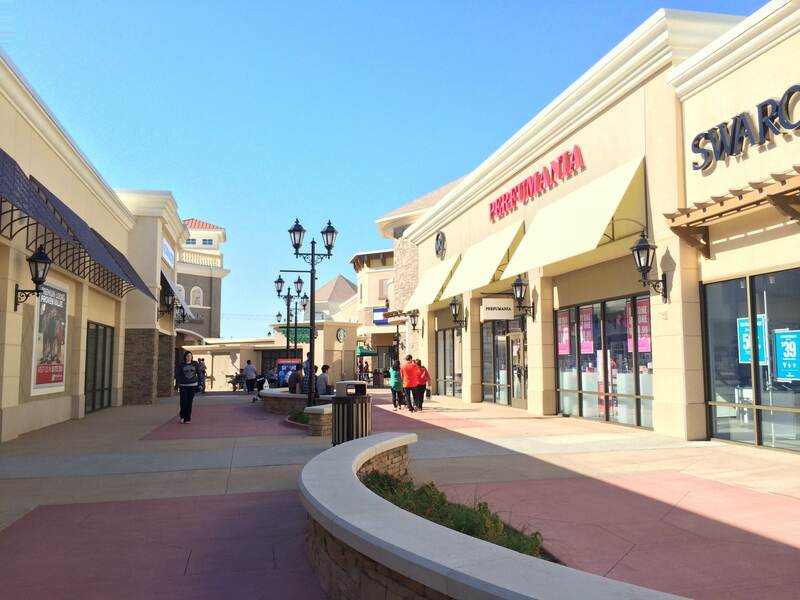 Shoppers all over Charlotte are rejoicing in the fact that they no longer have to go to Concord Mills to get deals, now that the Charlotte Premium Outlets are open just outside of Steele Creek. 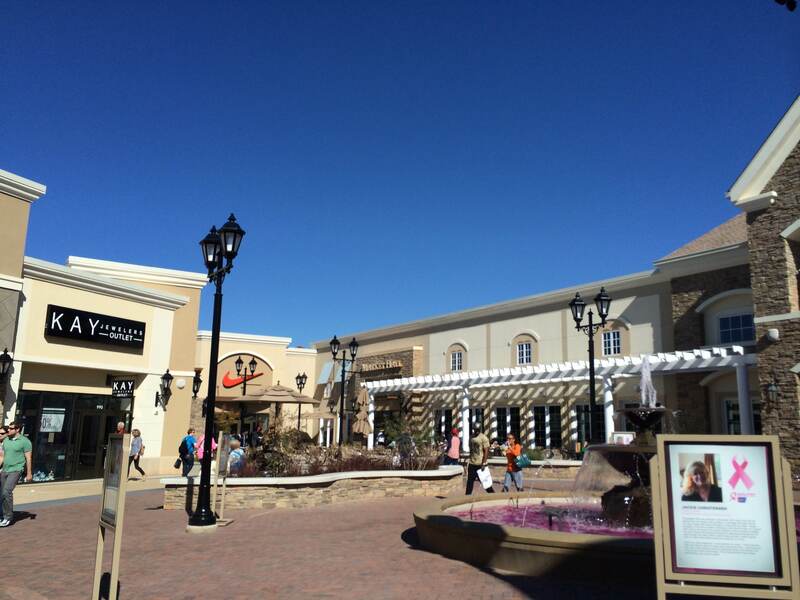 While the outlets aren’t quite as large as Concord Mills, they offer an openess and feel that cannot be matched by indoor mall shopping. 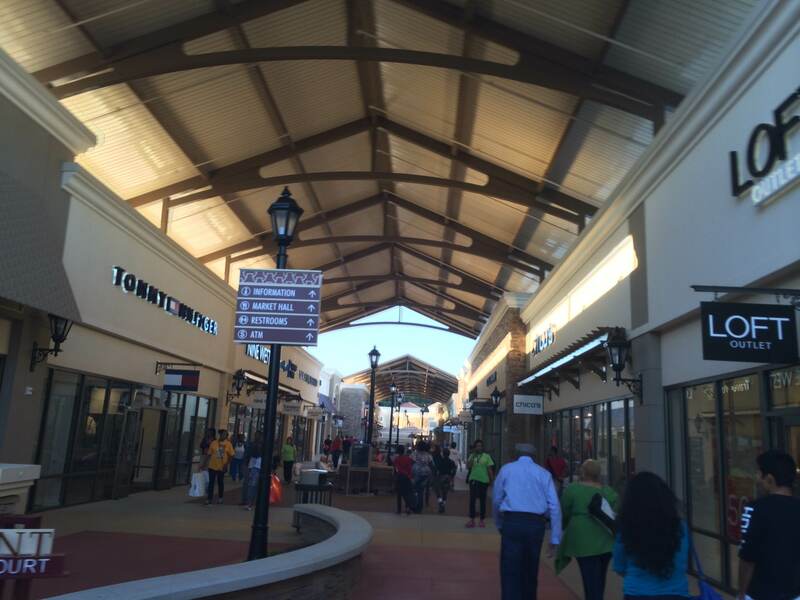 While there are open areas, most are covered so even on rainy days you can shop til you drop. 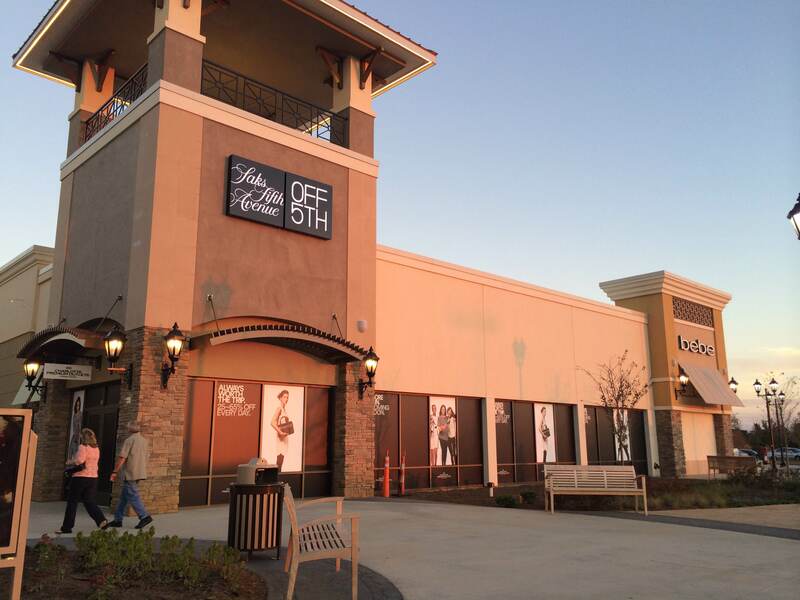 If you’re looking for high-end, Kate Spade, Coach and Saks Off 5th are top of the list. 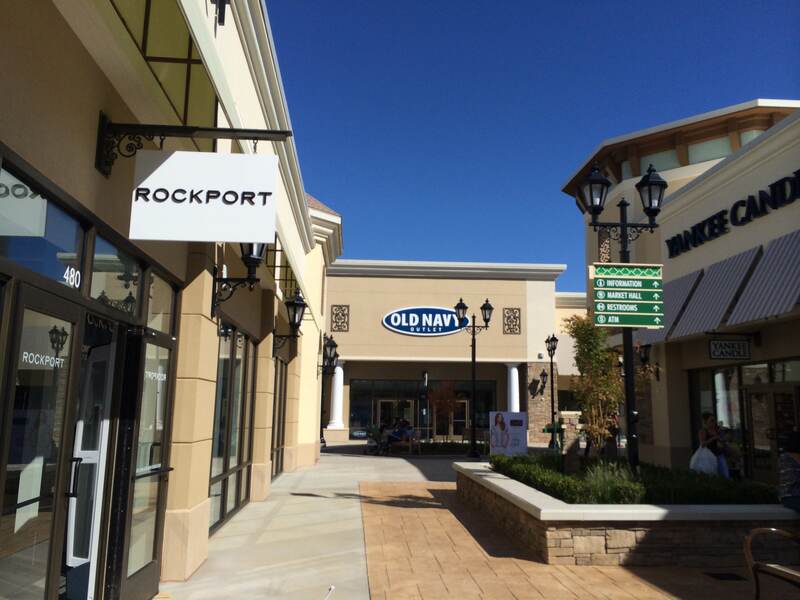 Your regular outlet stores like J Crew, Banana Republic, LOFT, Ann Taylor, Eddie Bauer, Nike, Adidas, Under Armor and Gap are all present, too. I even stumbled across an Old Navy outlet (surprising, since Old Navy’s prices resemble outlet prices anyway). The food court is not robust, but there are typically food trucks out front where snacks can be grabbed. Get your coffee before you go though, the line for Starbucks is ALWAYS long. And by long, I mean not-worth-waiting-in long. Since the outlets are still pretty new, you can find even better deals than normal. The parking lot is relatively small, so you might have to circle around a few times to find a space. If you’re heading out for the holidays, be prepared for an extra crowded shopping experience. No doubt people will be piling in to get their gifts. 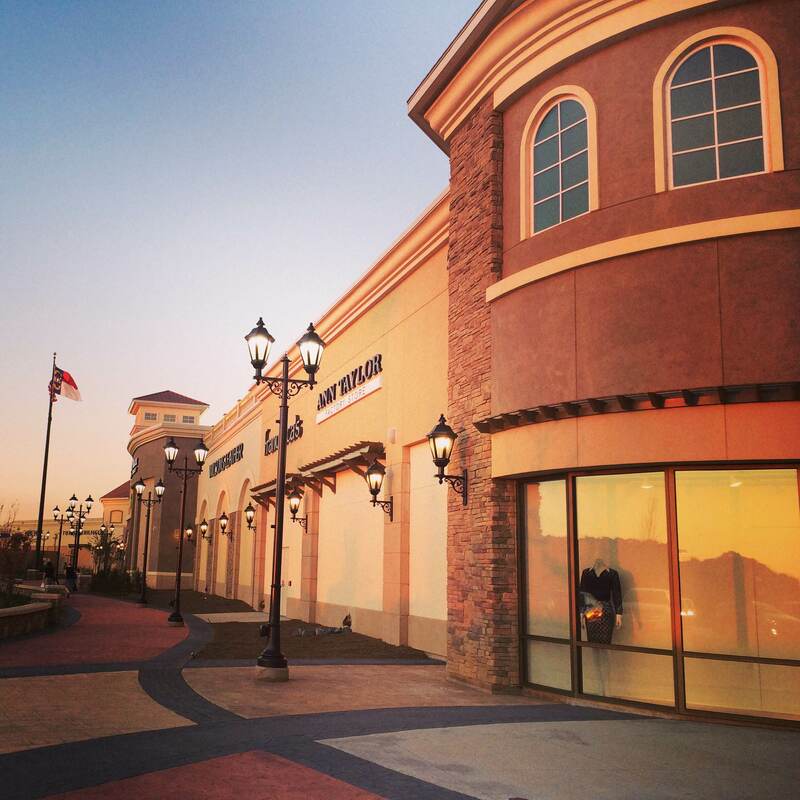 If you get a wild hair to go shopping, head on 485 straight to the Charlotte Premium Outlets and see what kind of deals you can walk away with. I’ll say that I’ve been pleased with my purchases to this point! PS – If you stay until sunset, you’re bound to see a gorgeous sight!